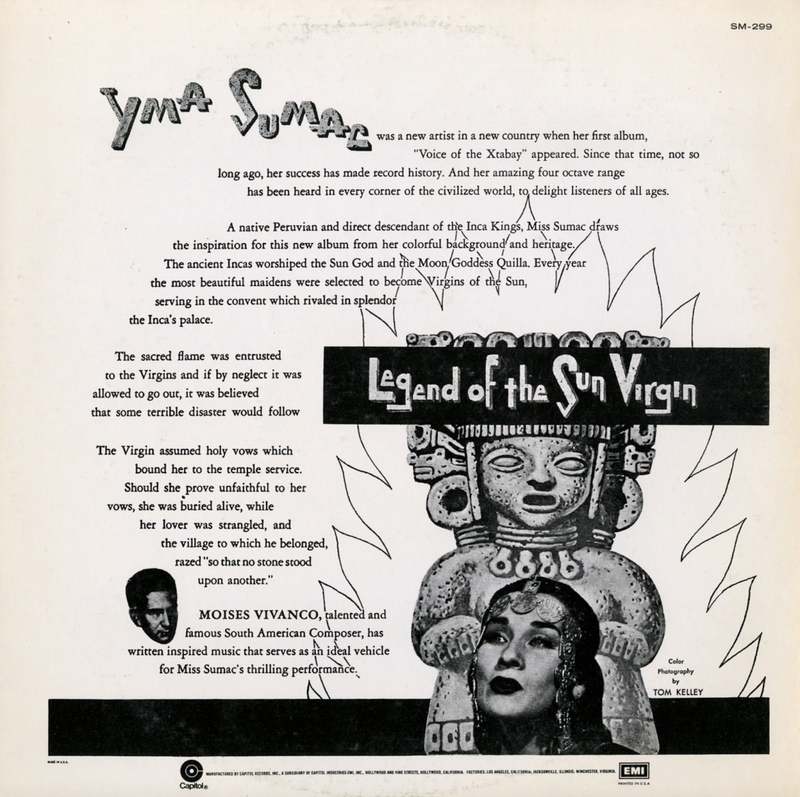 I'm not sure when this record was released, but it continues to be available from Lyrichord on CD and by the download although the cover art has changed. To me the music sounds like many multi-colored glass bottles swirling around in a twister, smashing into one another until they explode into a thousand pieces of light. 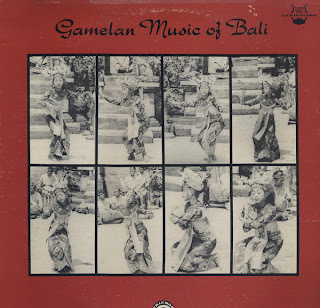 For a more intellectual explanation of Gamelan music check out this wiki page. A Capitol ad in the September issue of Billboard, 1952 listed this and Sumac's Virgin Of The Sun God as "Best Selling Popular Albums". Look, I'm Doing THe Cha-Cha! Great space age cover art featuring music that reflects the playfulness of the graphic. According to the jacket notes, this was "Bobby's first ABC-Paramount album as leader of his own Latin-American Orchestra". Also from the notes, Madera was a trumpeter, arranger and composer who comes from Baltimore, Maryland. I'm assuming that Madera is also doing the hot vocal chores on the album. Aside from the jacket notes and a few online references to this album, I can't locate any more information on Madera. 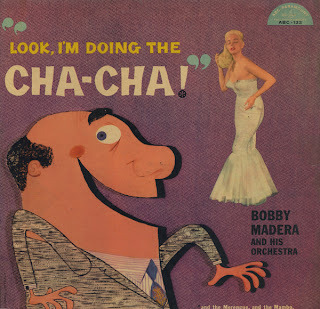 Madera does a hot cover of Mambo Inn, a tune that became a Latin standard, written in 1952 by Mario Bauza, Grace Samson and Bobby Woodlen. Sid Feller produced the album. 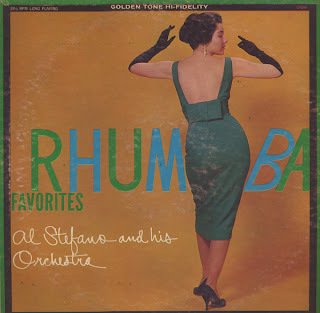 Feller also produced records for Paul Anka, Eydie Gorme and Steve Lawrence on ABC-Paramont. 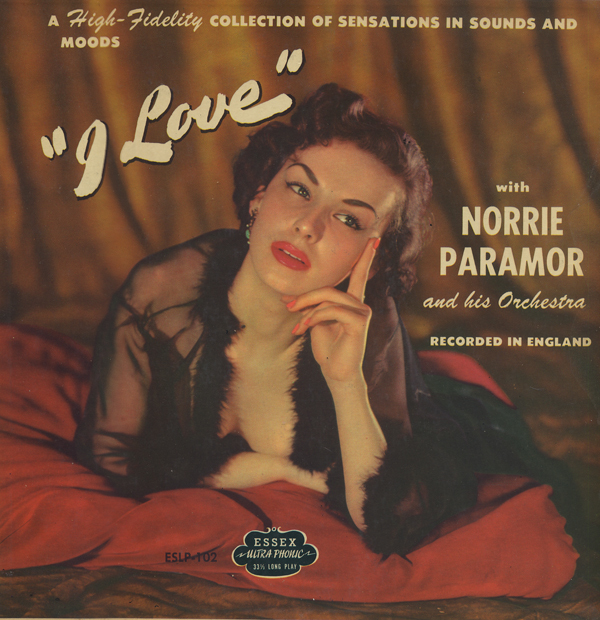 An eye popping cover graces this early Decca 10 inch 33 RPM. Carmen spent 2 decades with Decca as of 1961 and produced a ton of stuff for the company. Al Stefano was apparently a keyboard player who made at least several albums. 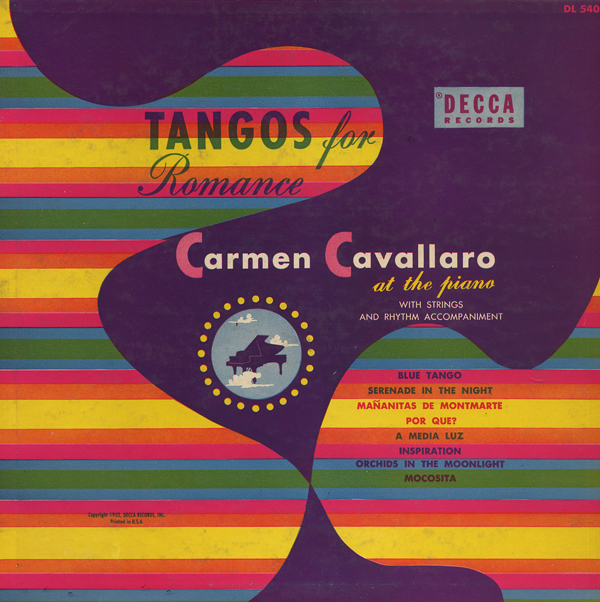 There are both piano and organ numbers featured on this LP. This LP has an interesting sound as if it was recorded in an overly large room with acoustics that created echo. 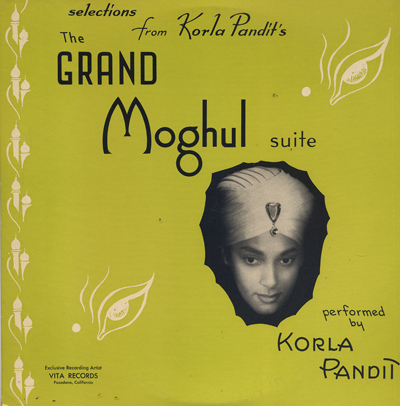 The organ numbers have a "percussion" somewhat like Korla Pandit's work. 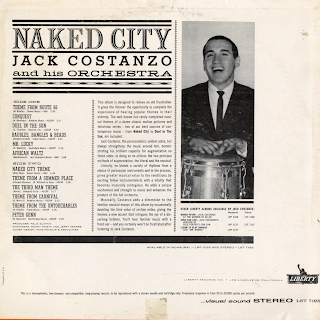 August 21, 1961 edition of Billboard gave this Costanzo release a 4 star rating calling the album "Fine jockey wax." 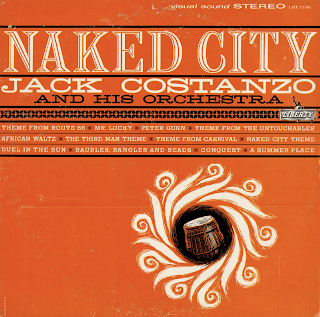 Costanzo's nickname, according to his wiki page, is Mr. Bongo. Born 1922, he may still in fact be working as I post this information. 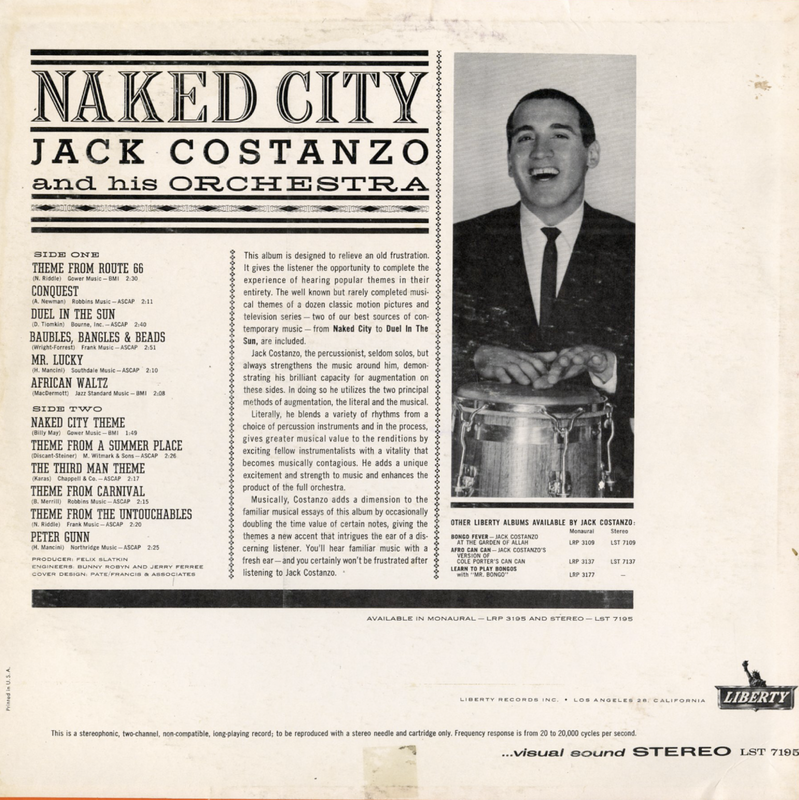 He toured with Stan Kenton and played with Nat King Cole. 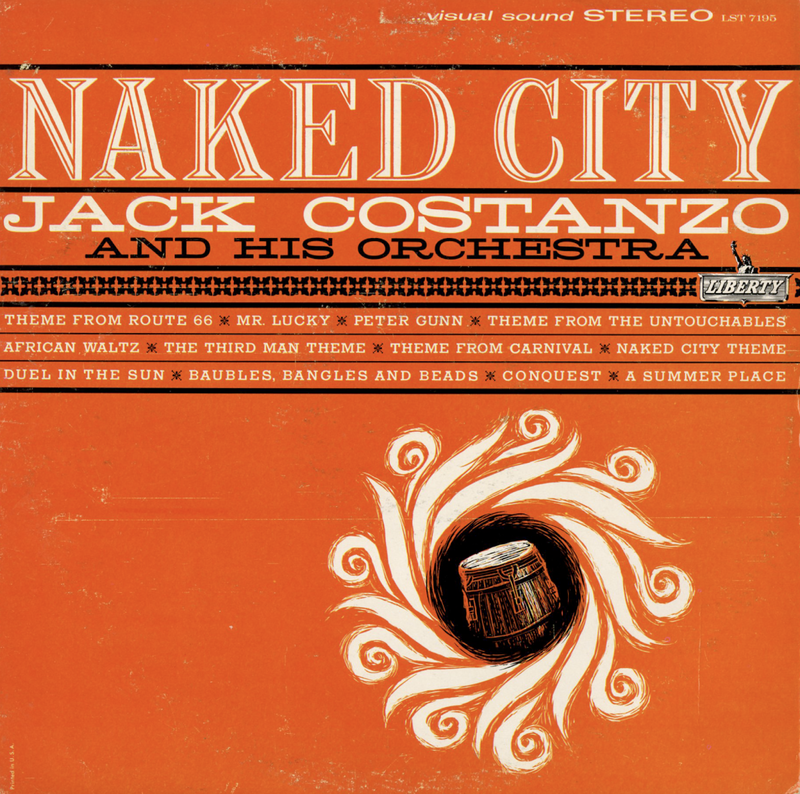 Terrific, driving Latin beat big band pop covers of some of your favorite period tunes. 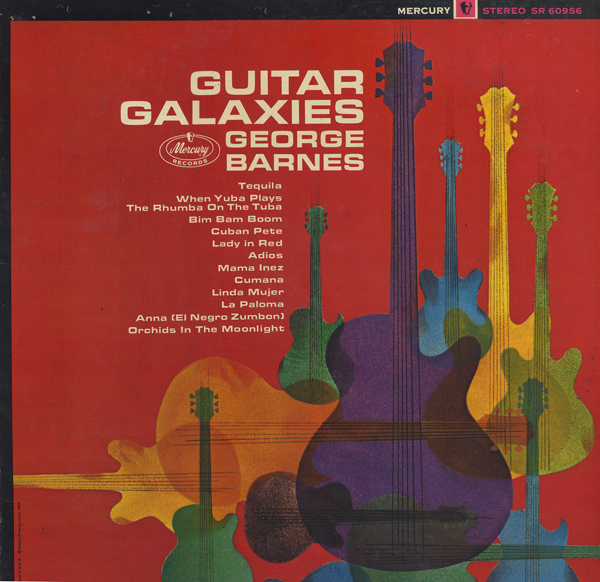 George Barnes made the first recording of an electric guitar in 1938 with Big Bill Broonzy. Barnes did not receive national acclaim until he recorded an album called Two Guitars with Carl Kress (who is credited on this album). This album features the "light-pop" sound that you typically hear from an Enoch Light project from this period and excellent Mercury engineering. I found this same album with two different cover designs, the second example is a substantial book-fold (PPS 6011) which was released in 1961. 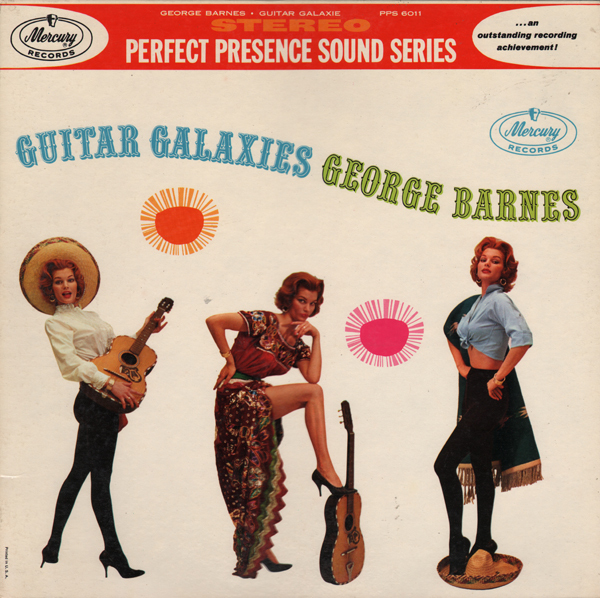 Billboard review for the 1961 release: Another in the new Mercury Perfect Presence sound series, this admittable set features the great guitaring of George Barnes, abetted by an ensemble of melody guitars, with assorted percussion instruments. 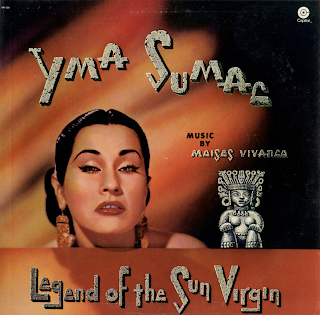 Things are largely keyed to a Latin beat, which lends an admirable showcasing for the percussion elements. Tunes include "Tequila," "Anna" and "Lady In Red." 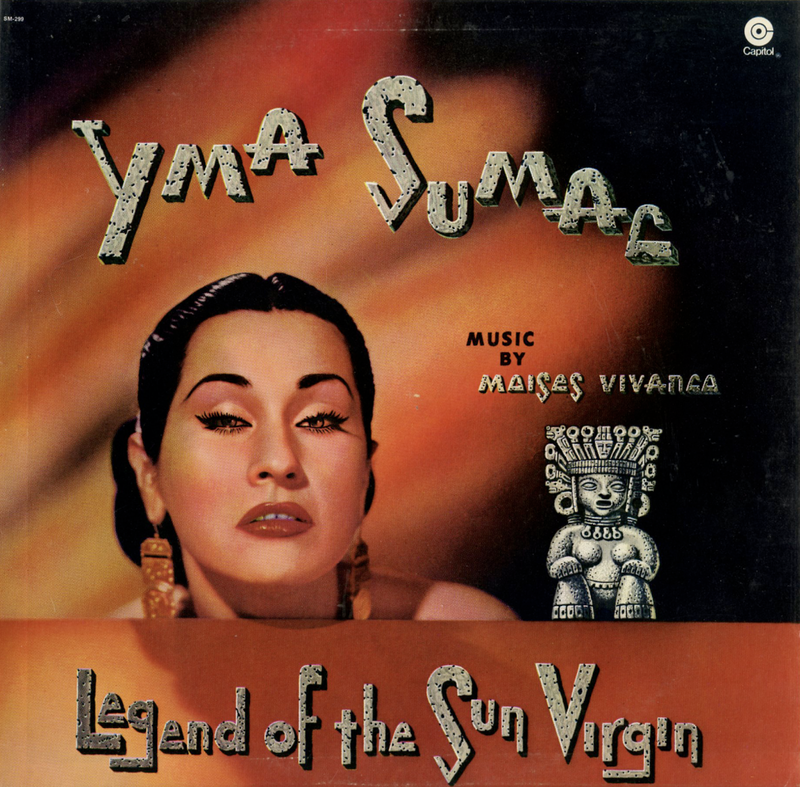 Excellent sound with an eye-catching, tastefully done cover of three latin dolls. Classy merchandise. 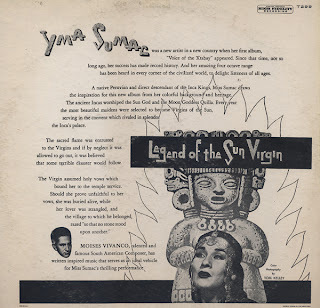 A small and obscure label located in Toledo, Ohio produced this equally obscure big band Afro-Cuban record. 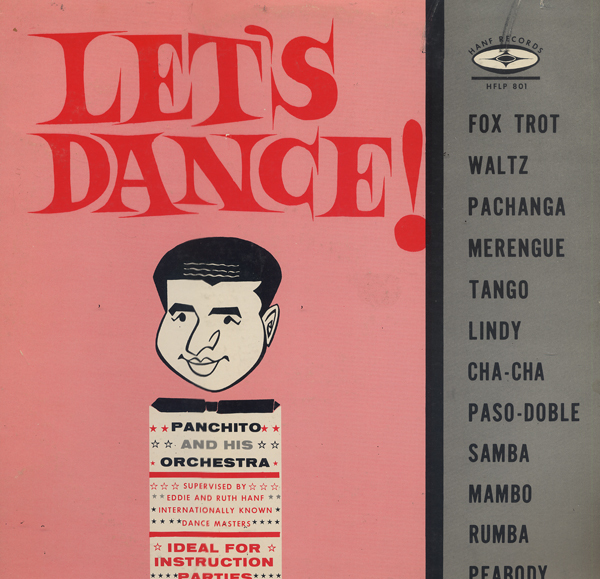 According to the jacket notes, Panchito worked with Isham Jones, Xavier Cugat and Lang Thompson. 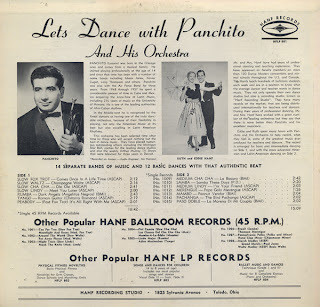 Other then the jacket notes, I can't find much information on Panchito. Also from the back cover: "In the Middle-west he is recognized by the finest dancers as having one of the truly danceable orchestras." 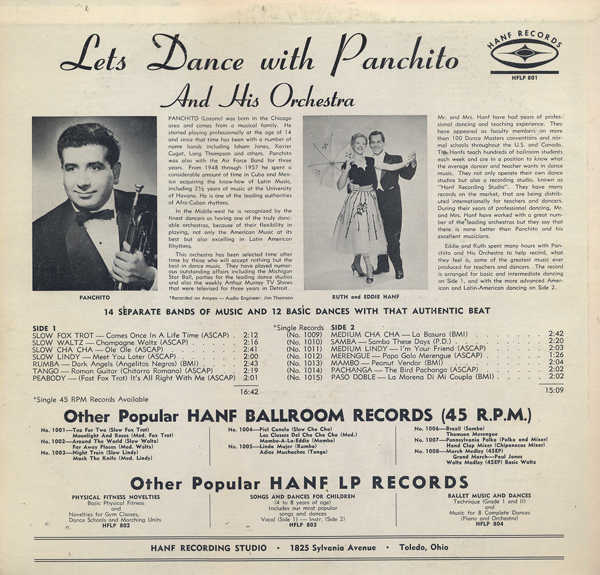 Apparently "Hanf Records" is Mr. and Mrs. Hanf (as pictured on the back cover). 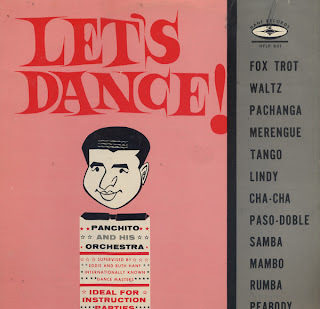 They were professional dancers and published this record to cater to folks interesting in Latin dance. I have no idea how they acquired the music or if they had Panchito record for them. 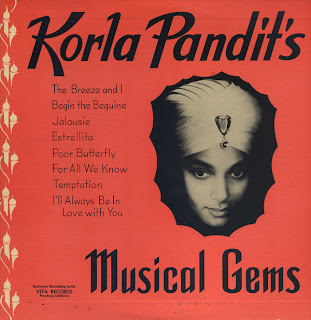 This is a outstanding Pandit 10 inch 33 RPM LPs. The record kicks off with a fabulous spacey version of The Breeze And I. 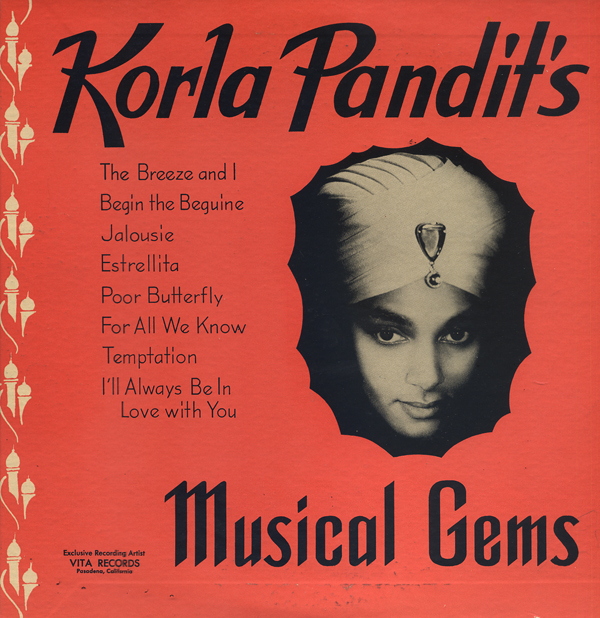 Great stuff from the magical and mystical Korla Pandit! This is a 10 inch 33 rpm sporting a great jacket. Apparently this release also came in red vinyl. This is great percussive organ music featuring the magic and mystical Pandit touch. Here's a great 10 inch 33 album cover from a run of records released by Essex, a label own by the Miller International Company. 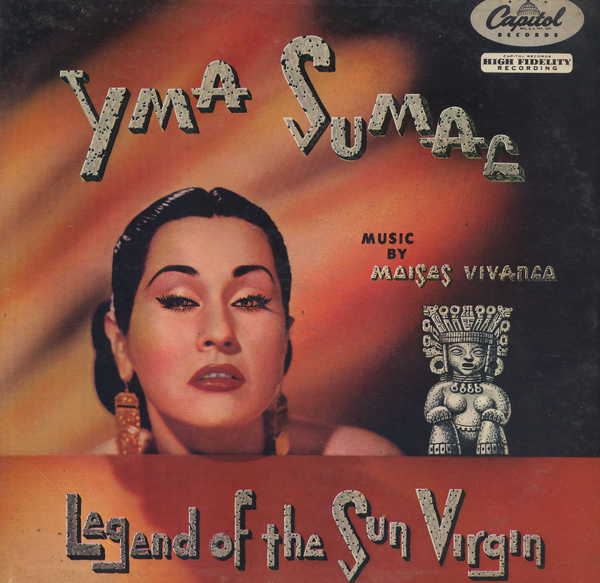 The unsuccessful label was active from 1951 into 1956. 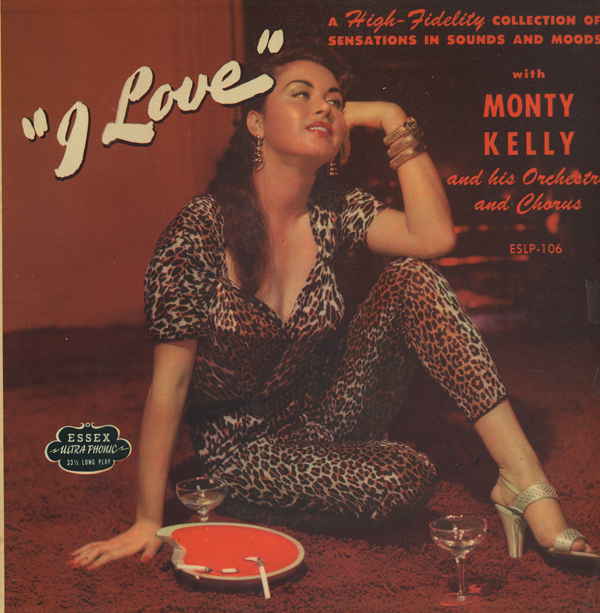 Many covers featured these great cheese cake images. 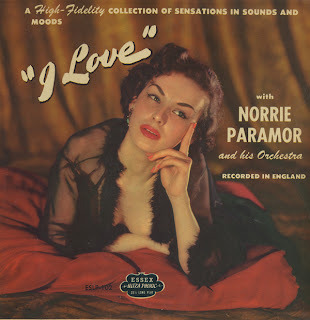 Apparently Paramor made an interesting album, that I have yet to acquire, titled In London In Love that featured soprano Patricia Clark, singing brief snatches of wordless vocals. He also produced the first British Rock & Roll single, "Teach You To Rock" by Tony Crombie and his Rockets. Here's a great 10 inch 33 album cover from a run of records released by Essex, a label own by the Miller International Company. The unsuccessful label was active from 1951 into 1956. Many covers sported great cheese cake images. This release features some great light pop from Kelly, a staff arranger David Miller who was hired to work on 101 Strings. Some of the better tracks from this album are available online for purchase by download. Crosswinds wasn't one of them, so I post the track as a sample here. I think you'll agree this is a very cool track and the only song on this release to feature a solo vocalist. Here is a great 10 inch album cover from a run of records released by Essex, a label owned by the Miller International Company. The unsuccessful label was active from 1951 into 1956. Many covers sported great cheese cake images. 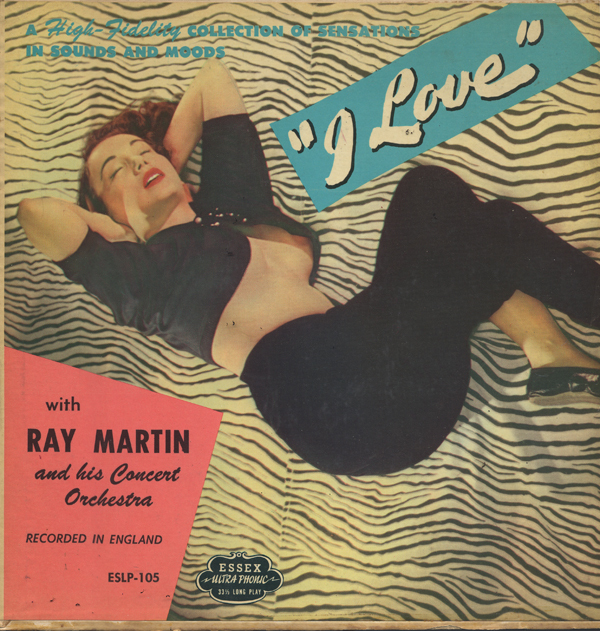 Ray Martin was noted for light pop arrangements and created a legacy for himself in British popular music during the 1950s. He was a producer on the EMI label. Here is his wiki page.